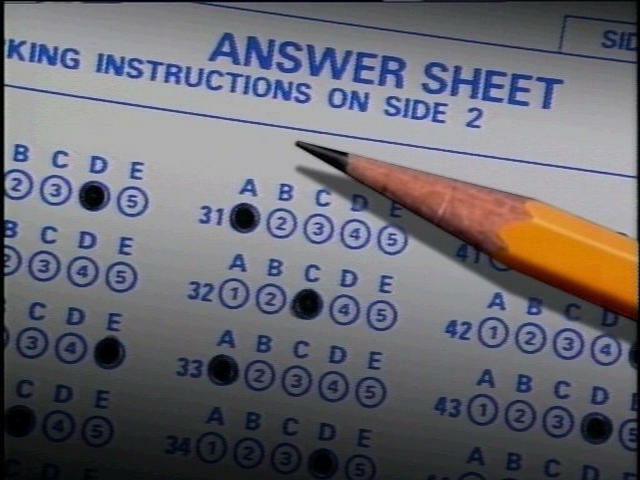 WASHINGTON -- Students, parents and teachers have long lamented the hours that kids spend taking standardized tests, especially since the introduction of the Common Core academic standards. But just how much time each year is it? To drive the point home, Obama and Education Secretary Arne Duncan scheduled an Oval Office meeting Monday with teachers and school officials working to reduce testing time. Dr. John King, slated to take over the Education Department after Duncan's departure, will also attend. "How much constitutes too much time is really difficult to answer," said Michael Casserly, the council's executive director. He said the study found plenty of redundancy in required testing - supporting concerns from teachers and other critics about the tests consuming too much teaching and learning time. This past spring saw the rollout of new tests based on the Common Core college-ready academic standards in reading and math. About 12 million students in 29 states and the District of Columbia took the tests developed by two groups - the Smarter Balanced Assessment Consortium and the Partnership for Assessment of Readiness for College and Careers (PARCC). -The most tests were required in 8th and 10th grade; the fewest were in pre-K, kindergarten and first grade. -Four in 10 districts report having to wait between two months and four months before getting state test results. The lack of timely results means teachers begin a new school year not knowing where a student needs to improve.